Man City have started the campaign in brilliant form, but it appears as though Pep Guardiola isn’t quite content with his squad for this season. City sit top of the Premier League table on goal difference above Man Utd, collecting 19 points from their opening seven games. Further, they’ve also won both of their Champions League games so far. One transfer swoop below is explained by the fact that Guardiola has lost left-back Benjamin Mendy to a long-term setback after the French international sustained a serious knee injury last month. In turn, a natural left-back may well be needed rather than attempting to try and find a short-term fix as it could jeopardise their hopes of winning major trophies this season, especially given such a weakness could be exploited in the business end of competitions. According to The Sun, Napoli left-back Faouzi Ghoulam has been identified as a possible solution, with the Algerian defender set to see his current contract expire next summer. In turn, City reportedly want him for just £3m as they look to take advantage of the situation. 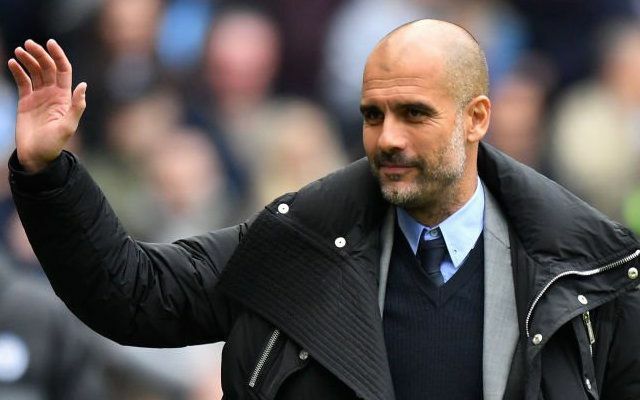 Given his importance to Napoli though, it’s difficult to see the Italian giants letting him leave without a fight and a new contract offer, but Guardiola could be about to swoop in and make it very difficult for them with the opportunity to play in England and compete for silverware. Meanwhile, The Mirror, via Don Balon, suggest that Ghoulam won’t be the only player targeted in January, as Barcelona’s Sergi Roberto is also on Guardiola’s radar in a €40m (£35.8m) raid to activate his release clause. It doesn’t seem like a realistic option now that the 25-year-old has seemingly staked his claim for an important role at the Nou Camp under Ernesto Valverde, making 10 appearances this season already. The Barca ace has been an active player over the past two seasons making almost 50 appearances in all competitions in each campaign, but he’s had to show his versatility and play out of position to get a chance to show his qualities. It remains to be seen whether or not City and Guardiola do lodge their offer in January as it will test the resolve of Barcelona, but it’s difficult to see them letting Roberto leave as they could do with the squad depth he offers as they compete on various fronts.